Due to the highly-publicized events in Flint, Michigan and in other parts of the country, consumers are becoming more aware of just how bad lead can be for their health. However, unbeknownst to many, there are a multitude of products that contain trace amounts of lead. One of the biggest industries where this truth comes across is in cosmetics; many lipsticks, lip glosses, lip liners, eye shadows, and lotions contain the element. While the amounts are too low to do any kind of immediate damage, the Food and Drug Administration (FDA) has released guidelines that will decrease its use even further, to no more than 10 parts per million (ppm). “[The FDA] has concluded that a recommended maximum level of 10 ppm for lead as an impurity in cosmetic lip products and externally applied cosmetics would not pose a health risk. We consider the recommended maximum lead level to be achievable with the use of good manufacturing practices and to be consistent with the 10 ppm maximum lead level for similar products recommended by other countries,” the agency said. The FDA arrived at its 10 ppm figure after thoroughly investigating several different lipsticks and their lead content. Its findings suggest that allowing for 10 ppm of lead would not pose a “significant health risk” to consumers. A previous study by the FDA of 400 cosmetic lip products found a wide range of lead levels – ranging from 0.026 ppm to 7.19 ppm. 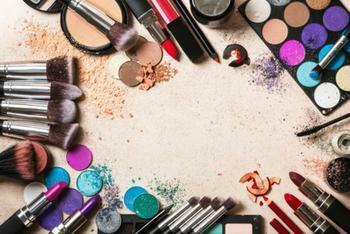 Eye shadows had a higher range of lead content, ranging from 6.7 ppm to 9.4 ppm. The FDA says that the impact of the lead in these products is likely reduced even further, since the products are only applied to small areas of skin. However, there are many advocacy groups who believe that the product is too dangerous and should be eliminated entirely. “Lead has no place in personal care products, especially products marketed to children, who are especially vulnerable to the toxic effects of lead. While we welcome renewed attention from the FDA, we urge the agency to prohibit the presence of lead in lip products marketed to children and to require a warning on all personal care products that contain lead,” said Scott Faber, senior vice president of the Environmental Working Group.